We’re willing to bet there’s a few booze connoisseurs among our readers, and plenty more who know bot-all but are happy imbibers nonetheless (yours truly included). Funny Way To Be comedy club are hosting a drink-fuelled night of rip-roaring comedy at The Witham in Barnard Castle on Saturday 21st October, which sets out to prove that basically everything that has ever happened was influenced by the demon drink. Yes, really. The Thinking Drinkers, otherwise known as journalists Ben McFarland and Tom Sandham, will impart their wisdom and extensive knowledge in a show that has been lauded for its intoxicating hilarity. 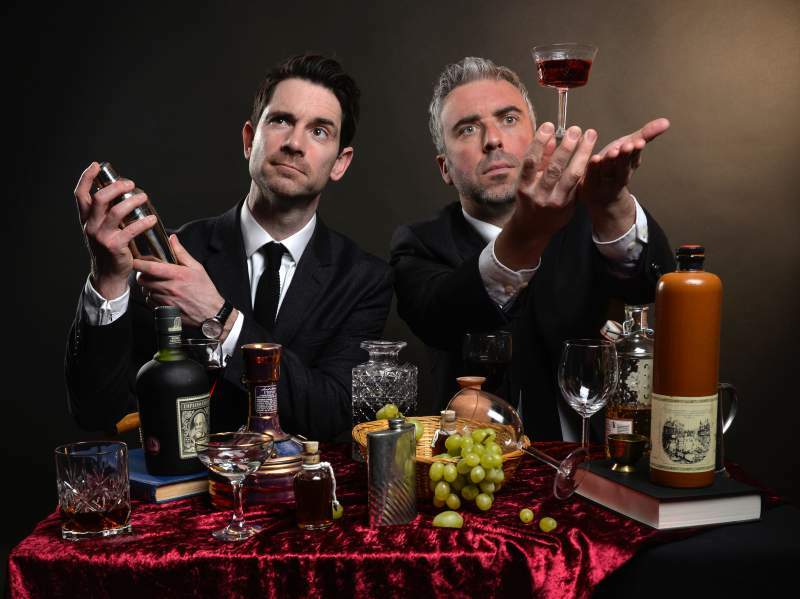 The duo are leading experts in their booze-related fields, writing regularly for The Telegraph, Spectator and Time Out, and their Edinburgh Fringe show earned rave reviews and sell-out crowds every year they’ve attended. Their History of Alcohol show offers up tasty tidbits on our drink-drenched history, with fascinating facts and rib-tickling laughs aplenty. Tickets to the show also come with five free drinks included, demonstrating that the perfect way to guarantee a happy audience is to get them well and truly sloshed. Sounds good to us! Hic.